A large capacity of 5 litres allows you to cook a delicious dinner for as many as 5-7 people in one go. The handles become loose over time. This is one of the safest pressure cookers on the market. It features a metallic safety plug and an advanced gasket release system that won't let you open the lid until the pressure drops to the optimal level. Bakelite handles do not heat up during cooking. Easy to clean with standard non-abrasive detergents. The improved heat distribution system along with a flat bottom speeds up the cooking process even more. The handles might get hot. 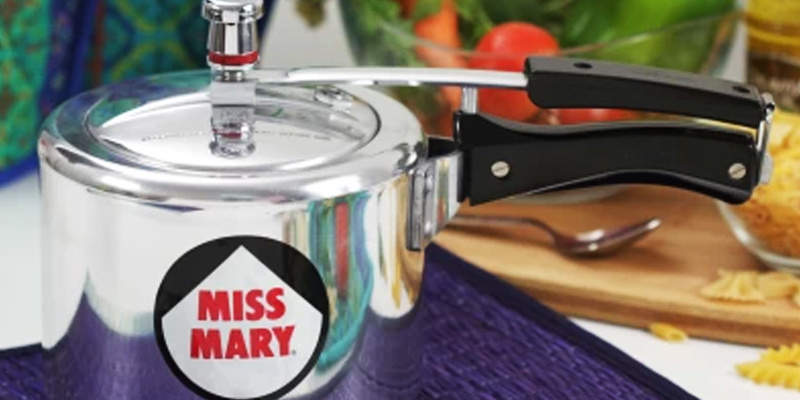 The Hawkins Miss Mary pressure cooker is ideal for everyday use. It has a 3-litre capacity and is perfect for small families. The special design with inside-fitting lid prevents the leakage of hot water, which significantly contributes to the safety of use. A gasket release system with a metallic safety plug and a precision weighted valve ensure higher safety. The actual capacity is about 2.5 litres. It's a very affordable pressure cooker that is great for a small family of two. The cooker has an induction base which makes it compatible with both gas stoves and induction cooktops. 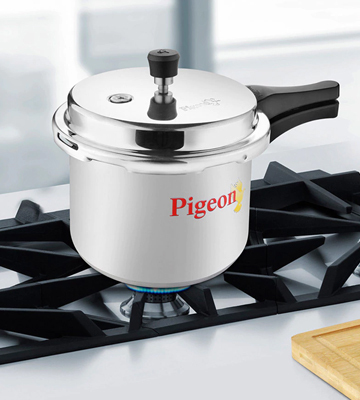 Ergonomic handles, attractive design, and high-quality materials ensure a long life of this Pigeon pressure cooker. This is one of the lightest and most compact pressure cookers. Thus, it's very easy to handle. The inner surface might get scratched easily. The Prestige pressure cooker is a simple piece of cookware with a gradual pressure-release function. It's suitable for those who often cook small batches of food. It looks very stylish and is perfect for serving food right on your dining table. 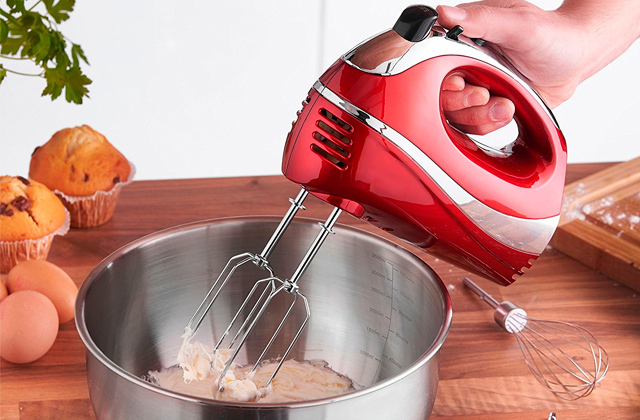 A comfortable double handle makes the cooker easy to hold even when it's full. Made of extra-strong aluminium, the pot is very durable and resistant to scratches. The handles are somehow lacking in quality. 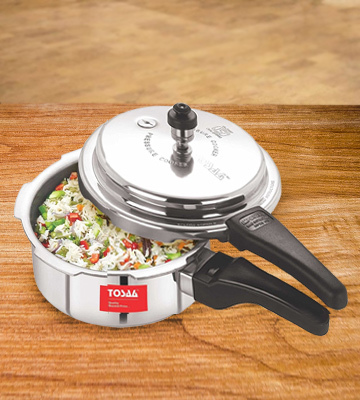 The Tosaa TUL.2.0 is a small pressure cooker that has an attractive design with a whistle. 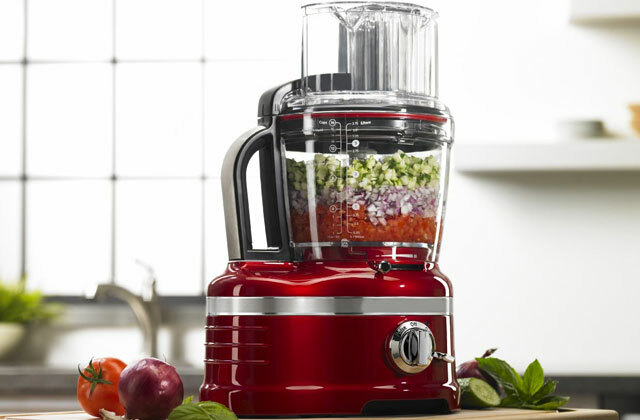 It will blend in your kitchen interior beautifully and help you cook different healthy dishes quickly, preserving the maximum amount of protein and vitamins. 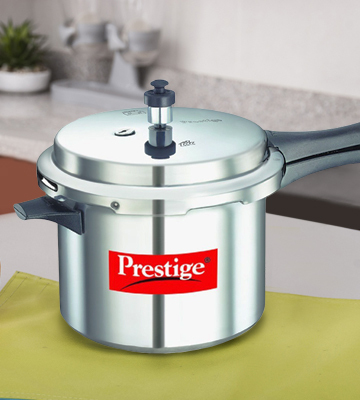 The Prestige Popular Aluminium Pressure Cooker is a nice-looking pot that is great for a big family of 5-7 members. It has a 5-litre capacity allowing you to cook multiple meals in one go. 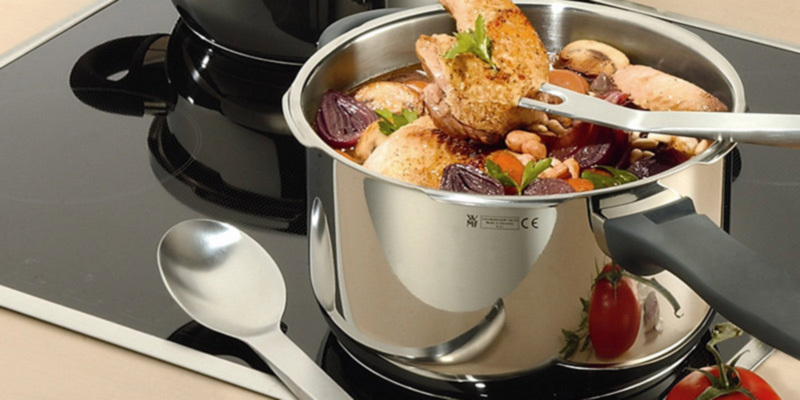 Compared to traditional cooking methods, this pot minimizes your cooking time to half. The cooker is compatible with all gas stoves. To ensure safe operation, it's equipped with Bakelite handles. Also, it comes with such safety features as GRS (Gasket Release System) and MSP (Metallic Safety Plug). 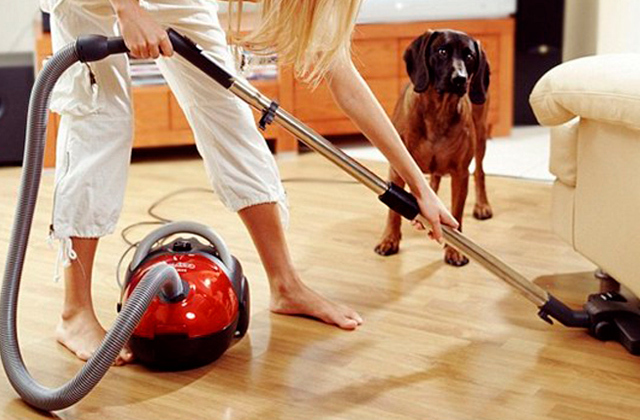 The automatic safety valve will release excess steam if the pressure inside rises beyond the optimal levels. And owing to the metallic safety plug, the lid won’t be opened until the pressure falls down to a normal level. The pot is very easy to clean since its lid fits from the outside. Overall, the top holds the steam very well, saving cooking time and gas used. 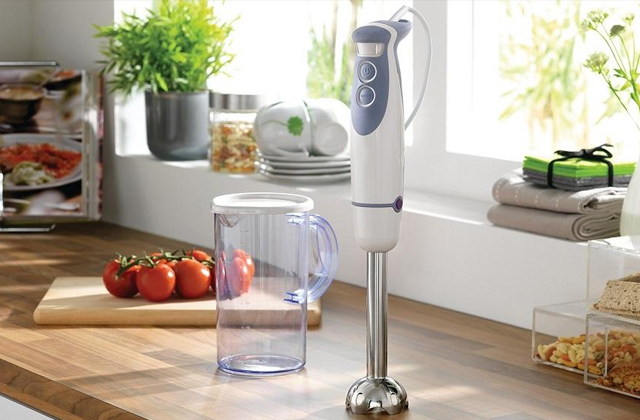 Plus, it has a pressure regulator that maintains proper pressure to ensure that all your meals are cooked to perfection. Using this 5-litre pressure cooker, you can prepare a vast variety of healthy dishes for your family in an instant. The package includes an aluminium pressure cooker, a gasket, and a pressure regulator whistle. All parts are well-built and sturdy. If you wish, you can choose another capacity for your cooking needs. 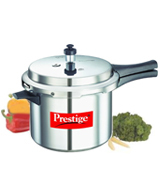 Prestige Popular pressure cooker is available in 2-litre, 3-litre, 4-litre, 5-litre, 6-litre, 6.5-litre, 7.5-litre, 8.5-litre, 10-litre, 12-litre, 16-litre, and even enormous 20-litre capacity. All options look very luxurious. They have a polished silver finish and sleek heat-insulated handles. The Prestige cooker will definitely become a smart addition to any modern kitchen. The Prestige Popular Aluminium Pressure Cooker is produced from the best quality virgin aluminium, thus, it ensures zero contamination of food. The cooker has reinforced lugs, while an extra-thick base provides a long service life. We would like to point out that the cooker is ISI certified and conforms to all international standards. The pot boasts excellent built and design. It has a heat resistant handle that allows you to easily move it from your stove to table. The sleek handles provide a good grip and boast a two-screw design to prevent breaking down. 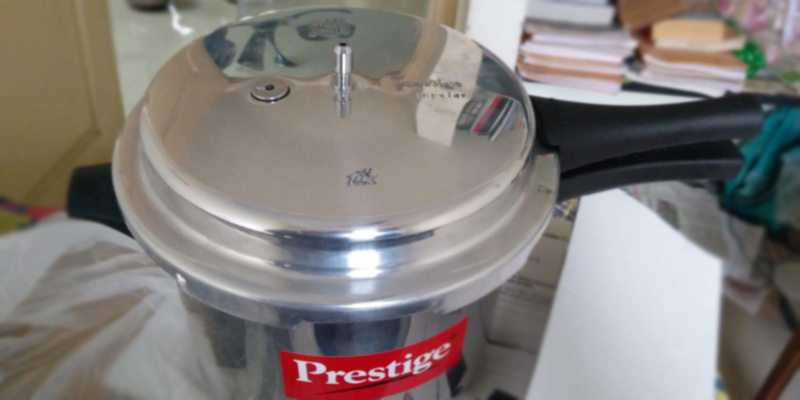 So if you need a top-quality pressure cooker at a reasonable price, then the Prestige Popular Pressure Cook is the best pick. The Hawkins Cookers Limited company entered the market in 1959. 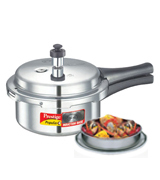 Over 15 years, the company gained recognition all over the world and became the best pressure cooker brand in India. The Hawkins company has sold more than 72 million pressure cookers worldwide. All its products are listed by an independent Worldwide testing products institution (Underwriters Laboratories Inc., USA) for public safety. Each pressure cooker has an inside fitting lid, which makes it much safer than most other pressure cookers. 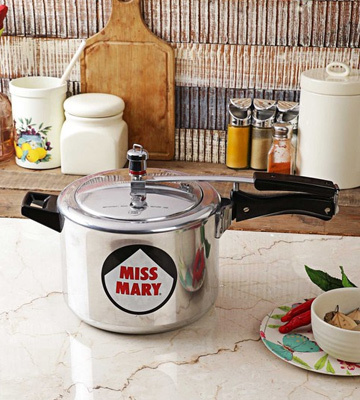 And the Hawkins Miss Mary Aluminium 3-litre pressure cooker is no exception. To open it, you need to first lower its lid slightly into the body that can't be done until the steam pressure level inside is too high. But not only is this cooker safe, it's also very sturdy. Since Hawkins engineers never compromise on the quality, they have produced this cooker from the durable aluminium. 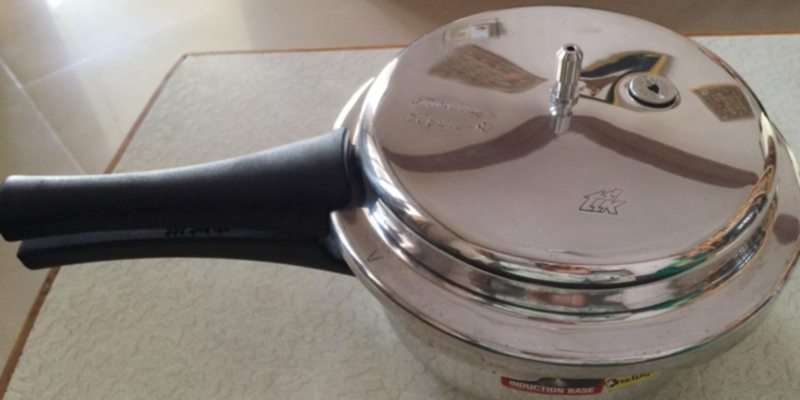 Even if used daily, the Hawkins Miss Mary pressure cooker will last for years to come. It ensures trouble-free service without leakage. The Cooker conforms to rigorous checks and tests by the Bureau of Indian Standards (also known as ISI). 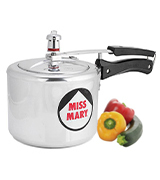 The Miss Mary pressure cooker is perfect for everyday use. Designed for use on a gas stove, it has a flat bottom for even and enhanced distribution of heat. This Hawkins pressure cooker really cuts down on cooking time, providing you with delicious rice, dal, sabzis and other dishes. The cooker is pretty easy to maintain - just wash it with a liquid soap solution to make it look like brand new after each use. Overall, this 3-litre pressure cooker features quick heating capabilities and easy maintenance. It's an ideal choice for those who want to cook a small amount of food in the shortest time possible. Preliminary step. Remove all labels and wash your cooker. You can use vegetable oil to remove any adhesive. Then identify all parts. Place the pressure regulator on the steam vent, and the sealing ring on the lid curl. Then, close and open the Hawkins pressure cooker for several times. Putting cooker on a stove. Add 2 glasses of water and 1 teaspoon of lemon juice in the cooker. Then, remove pressure regulator from the steam vent. Make sure that the steam vent is clear. Check the sealing ring on the lid curl. Close the cooker and place it on high heat. Ensuring a steam-tight seal. Once the water boils, the steam should be released only from the steam vent. If it comes out from somewhere around the edge of the lid, check if the lid sits properly. For this, unlatch and reposition the lid by moving it towards the spot where the steam is escaping. Keep away from touching the lid with bare hands. Placing the pressure regulator. As soon as steam is escaping out of the steam vent, put the pressure regulator on the steam vent and then press down on it firmly. A click will indicate that the pressure regulator is in the right position. Reaching full operating pressure. In 2 minutes, the cooker will come to full operating pressure. At first, you'll hear a very low hissing sound from the pressure regulator. And when the steam emission increases to the full, the regulator will lift with a whistling sound. This is when you need to reduce heat and start timing your meal. Maintaining pressure. Once the cooker reaches the full pressure, reduce the heat. If the cooker whistles more than 4 times per minute, reduce the heat even more. And in case there is no steam escaping from the pressure regulator for several minutes, increase the heat. Releasing pressure. Just turn off the stove and remove the pressure cooker. Final step. Open the cooker and empty it out of the water. Wash the body, lid, pressure regulator and then let them dry. Store all parts without closing the cooker. 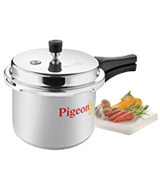 The Pigeon Favourite cooker is a super versatile cooking utensil that comes at a very attractive price. It features a special induction base that makes it compatible either with gas stoves or induction cooktops. Plus, the cylindrical pot of this cooker can double up as a separate cooking pot. 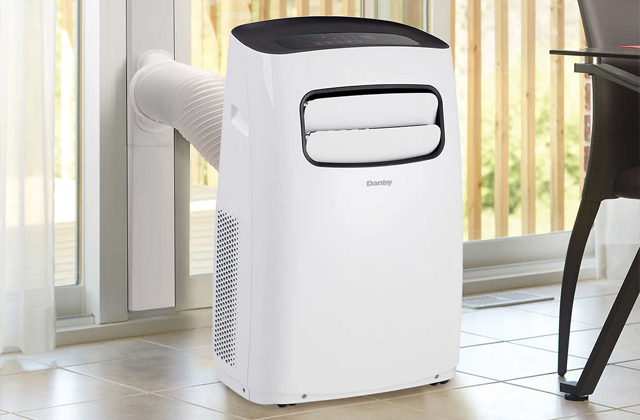 Made from high-quality virgin aluminium, the appliance is sturdily-built and easy to handle. This material ensures even and fast distribution of heat, providing more efficient cooking. For the safety of use, the cooker is equipped with highly-ergonomic safety handles that guarantee a nice and tight grip. However, there is no handle grip at the back, so we don't suggest filling this cooker to its full capacity since lifting it might become a problem. 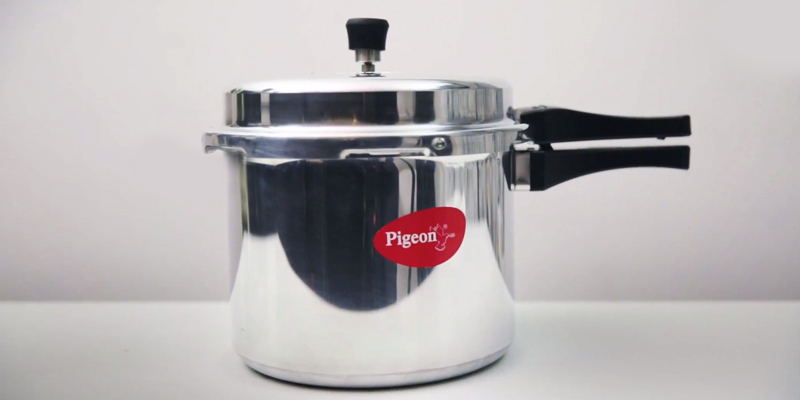 The 3-litre Pigeon pressure cooker has a gasket release system with a metal safety plug and precision-weighted valve, thus, you don't need to worry about any accidents with this model. The pot can be used for boiling and slow-cooking food. It can help you cook fluffy rice, delicious sabzis, perfectly-done meat and more. This versatile cooking utensil has a 3-litre capacity, which makes it a good choice for bachelors or 1-2 person households. Owing to its small size and cylindrical shape, the cooker can be neatly stored in your kitchen racks. All in all, if you need a versatile, affordable, and compact cookware for everyday use, the Pigeon Favourite Induction Base Aluminium Pressure Cooker with Outer Lid is your choice. Do not knock the rim of the body with a spoon or any other object. Protect the edge of the lid from dents. Do not leave water or food in the cooker for a long time. Do not leave the cooker lying in the water, since natural salts in the water might cause pitting of the metal. The same goes for vinegar, lemon juice, mayonnaise, mustard or any other salted liquid. Do not stretch the sealing ring, as this may lead to distortion. 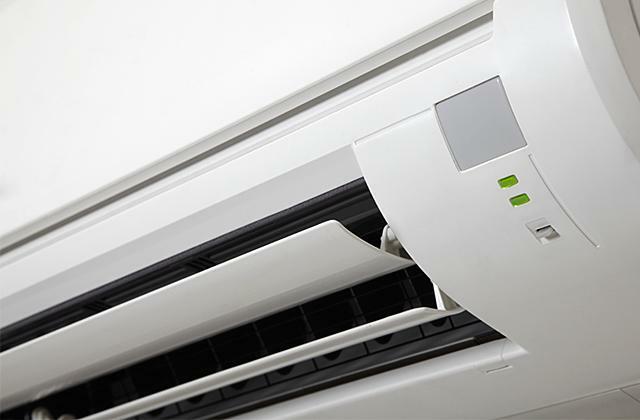 Replace it when it no longer seals or becomes cracked. Never wash your pressure cooker or its parts in a dishwasher. Wash all parts in warm water with a mild detergent and sponge. Rinse and wipe them dry. Aluminium parts might become pitted if left wet. Remove the sealing ring before washing the lid. Carefully wash and rinse it without stretching. Check whether the steam vent is clean after rinsing. 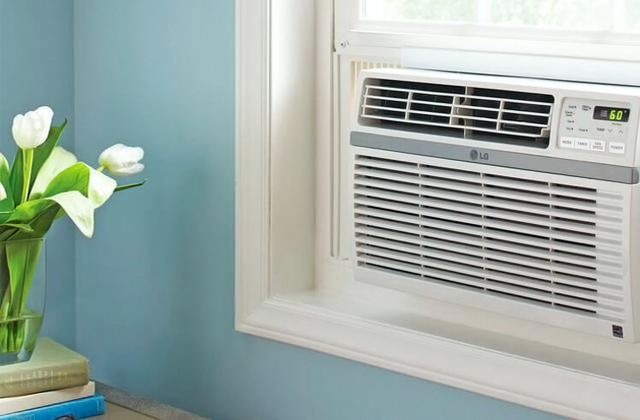 If it's clogged, push a wire through the steam vent gently, and then rinse it with running water. The pressure regulator should be cleaned with just a jet of water. Allow the cooker and all parts to air dry completely before storage. Store your cooker open in order to avoid mustiness. 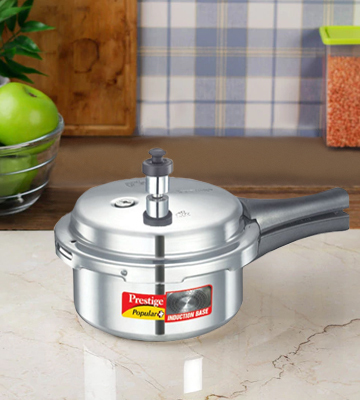 The Prestige induction pressure cooker is a high-quality product that boasts some top-notch features. Made from virgin aluminium, it ensures zero contamination and better safety. 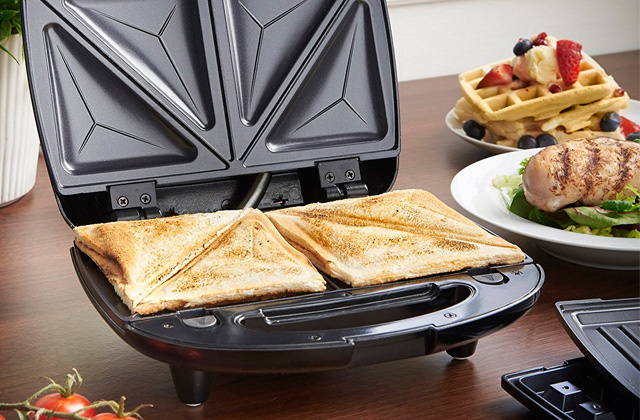 It's very well-built and can easily withstand rigorous daily cooking. Moreover, a sleek aluminium body looks decent, which makes the cooker suitable for serving right on the dining table. For sure, this pressure cooker is a must-have item in any kitchen for cooking delectable curries and other dishes quickly and effortlessly. This Prestige pressure cooker is not only stylish but also pretty versatile. 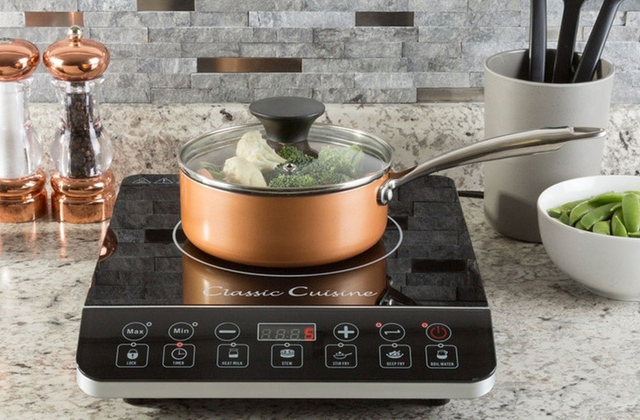 It has an induction base that distributes heat equally well if used either on a gas stove or an induction cooktop. However, if you're going to use it on an induction top, we recommend you to set a one-step lower heat setting than you normally use. Otherwise, the food inside might get slightly burnt. Featuring a unique gasket release system, the cooker ensures that the pressure inside always comes out safely. And the metallic safety plug releases excess steam once the pressure rises beyond a normal level. The comfortable handles of the pressure cooker are ergonomically designed to provide a reliable grip. Additionally, they remain cool during the cooking process, which makes handling easier. This induction-base pressure cooker has a 2-litre capacity, meaning it's a good choice for working bachelors or 1-2 person families who usually cook in small quantities. 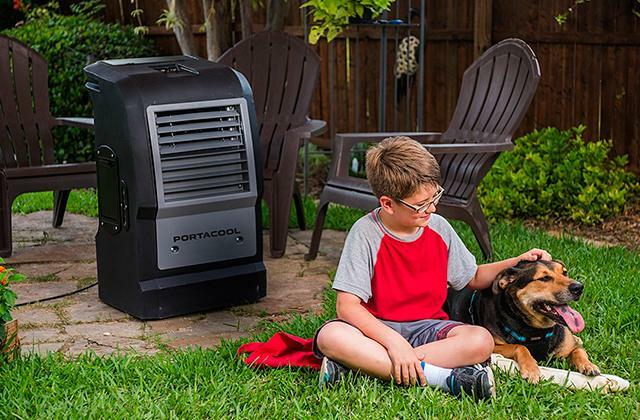 It's the smallest capacity offered by the Prestige company. If you wish, you can opt for larger models up to 12 litres. Some recipes may require frying or browning, and this can be successfully done in this pressure cooker. Just add a small amount of butter or oil and fry ingredient without the lid. 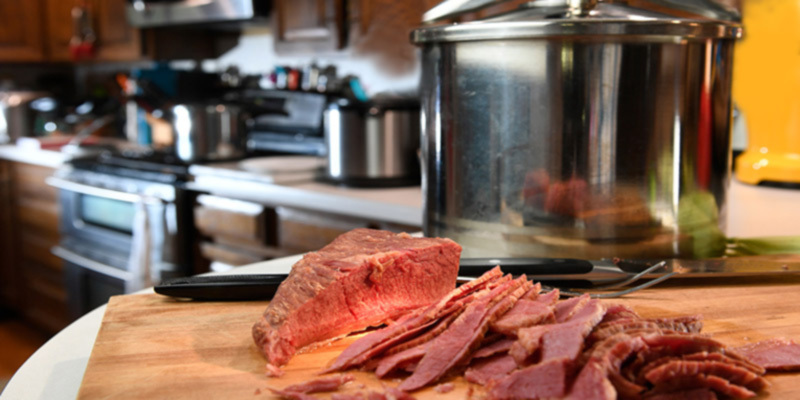 Browning meat can help you seal in the juices before pressure cooking. Fry all sides evenly. After browning, remove the cooker pot from the heat before adding water or other liquid to the cooker. You must add enough water or other liquid (juice, stock, vinegar, beer or wine) to this pressure cooker to avoid burning. Keep in mind that oils and fats do not produce steam. If the amount of cooking liquid is insufficient, you run the risk of damage. The minimum amount of liquid makes 1 glass for the first 10 minutes, plus ½ glass for next 10 minutes. This amount will be enough for producing thorough steam and preventing boiling dry, provided that you reduce the heat once the cooker reaches full operating pressure. Start timing recipes only when your pressure cooker reaches full pressure. Precise timing is essential since pressure cooking is much faster than conventional cooking. If your food gets slightly undercooked, you can complete the cooking without pressure. Cooking on high heat after the appliance has reached full pressure won't result in faster cooking. You just waste energy (or gas) and increase the risk of boiling dry and spoiling your meal. 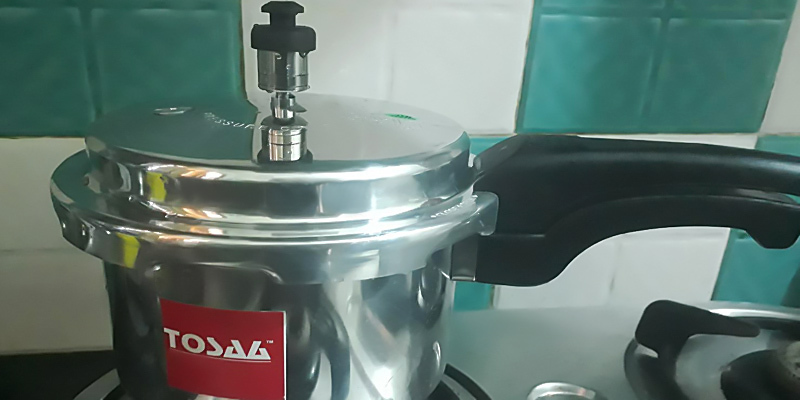 The Tosaa company makes very lightweight, compact, and budget-friendly pressure cookers, and the Ultra Delux Aluminium Pressure Cooker is exactly like that! 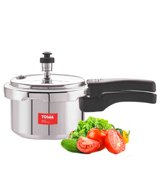 Although the reviewed model comes in 2-litre capacity, you can get 1.5-litre, 3-litre, or 5-litre Tosaa cooker as well. 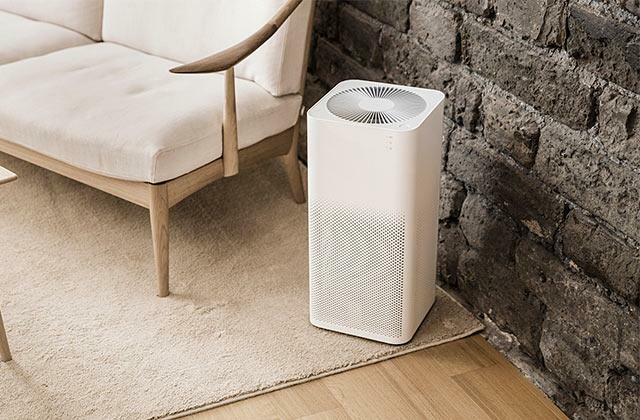 All the models are manufactured from high-quality aluminium, thus, they are pretty strong and durable. They can reduce normal cooking time by as much as half but still provide you with the meals cooked to perfection. It can help you cook flawless sabzis, dal, rice, stews, vegetables, pulses, pulav, pasta, and more. And the cooker will make your meals much healthier by retaining more nutritive elements, proteins and vitamins. Plus, closed-cooking in super-heated steam will evoke the natural flavours of your food for the tastiest results possible. Needless to say, the cooker saves fuel, cutting the cooking time significantly. The pot is gas-stovetop compatible. It has a nice silver design that will surely impress your guests whether it will be used on the stove or for serving meals on the table. The package includes a cooker with a handle, a lid with a handle, gasket, whistle, and a warranty card. So, if you need a simple-to-use, affordable, and good-looking cooking pot, the Tosaa 2-litre Ultra pressure cooker is the best bet. Never touch the hot surface. Use handles only. Use it on a gas stove only. Do not put the cooker in a heated oven. Move the pressure cooker with hot liquids very carefully. Do not use the cooker if it is not properly closed. Always check whether the steam vent is completely clear. Never put anything on the pressure regulator. Always add as much water as indicated in your recipe. Do not fill the cooker over 2/3 full. If you're cooking food that might expand (rice or dried vegetables, for example) do not fill the unit over 1/2 full. And if you're going to cook dal which sprout, fill the cooker no more than 1/3 full. Overfilling might lead to clogging of the steam vent. Do not use certain foods such as cranberries, applesauce, oatmeal or other cereals, since they might clog the steam vent. Once the operating pressure is reached, turn the heat a bit down. Do not lift pressure regulator. Never open the pressure cooker with force. Do not open the pressure cooker until it cools down. If the handles are difficult to move apart, this means that the pressure is still too high. 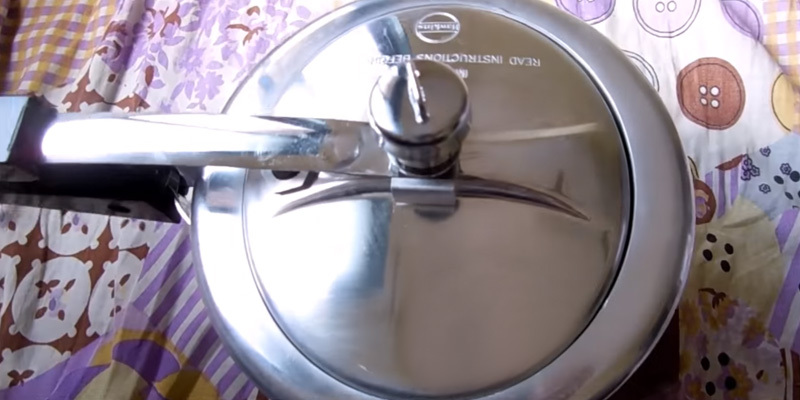 Do not use this pressure cooker for deep frying. Never attempt to make any changes to the gasket, pressure regulator, sealing ring, and other parts. We have created this pressure cooker review in order to tell about these kitchen appliances and help you choose the right one. Today, cooking gets simpler and quicker every year and a pressure cooker is an extremely handy helper in the kitchen. A pressure cooker is a sealed pot inside which the steam is accumulated under high pressure so that the food cooks really fast. No need to say, a pressure cooker prepares foods a lot quicker than a conventional pot. And the food remains healthy: for example, vegetables lose fewer nutrients, while porridge and cereals get fluffy. Therefore, this appliance is the excellent solution for any household or even for a small restaurant or cafe. Also, you should read about slow cookers that allow you to cook soups, meat, fish, porridge, jam, and many other foods. And if you adore rice, you are welcome to consider getting a rice cooker. You might have come across pressure cooker reviews online but they have not been informative enough if you are still looking for this appliance. That is why we have made our comparison as simple as possible and picked 5 best of them for you to choose from. The first thing you need to consider when choosing a pressure cooker is the capacity and power. And here you must know that there are 2 Types: electric and stovetop. No need to say, an electric pressure cooker requires electricity whereas a stovetop cooker is basically a metal pot you put right on top of your stove (no matter gas or electric). Any electric pressure cooker has the certain Power - make sure it is at least 1000 Watts which is a standard for this kind of kitchen appliances. When you are done with this choice, go to the Capacity which shows you how much food you are able to prepare. If you have a common family, you can choose a typical 6-Quart cooker, but if you need this appliance for professional use (for a restaurant, for example) or for feeding a lot of people - make sure to choose a bigger pressure cooker. If you want to use a pressure cooker for many years without any troubles you should pay attention to the material it is made from. As usual, there are cookers made of stainless steel (both electric or stovetop) and aluminium. Aluminum pressure cookers are usually more affordable but less health-friendly due to the peculiarities of this material. Aluminum cookers look like pots with a multi-layer bottom for even heat distribution; a lid firmly adjoins the pot thanks to a Sealing method that most often includes a silicone or rubber ring (though some models have an all-metal sealing system). As usual, a silicone sealing ring is more durable compared to a rubber one. Keep in mind that you will have to change the sealing ring from time to time. The lid usually has a couple of valves to release excessive pressure and one of the valves automatically does it when the pressure becomes dangerously high. Of course, you can set up the maximal pressure level. Stainless steel pressure cookers are more expensive but safer for health. If you choose an electric pressure cooker, you will be able to clean the inner pot in a dishwasher. When you are done with choosing a material, check what Weight it has. If you are a petite woman who likes canning food you will find it hard carrying a huge and heavy crock pot. No need to say, aluminium is lighter than stainless steel. 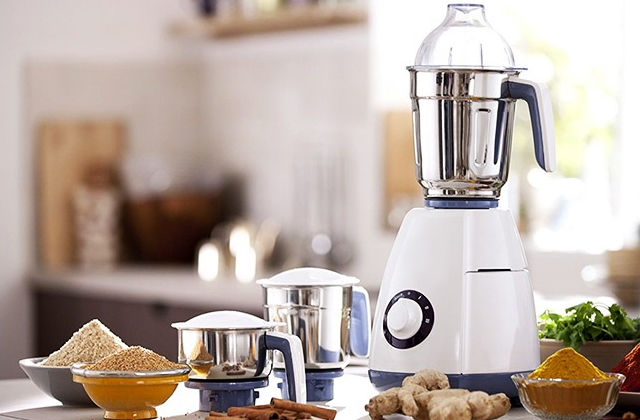 Next, the last yet really important issue to take into account is the cooking modes by which we mean what kind of food you can use a pressure cooker for and what pre-set programs the appliance offers. For example, a stovetop pressure cooker is most often used for canning and stewing whereas an automatic electric pressure cooker is a multi-functional appliance that can serve as a rice cooker, slow cooker, and so on. Therefore, choosing an electric pressure cooker pot allows you to save up the money and get an awesome kitchen helper. And those who want to preserve food need a large canner crock pot. Finally, you need to be sure the pressure cooker will not blow up and that is why make sure to check the safety and sensors. All pressure cooking pots have a lid lock which ensures the safe position of a lid and prevents its accidental opening. Also, every good crock pot has an overpressure release - if the pressure inside gets too high a special vent (or valve) will get rid of the excess. Electric pressure cookers are totally automatic, while on crock pots you need to set the max. pressure level manually. Sold stovetop crock pots have a sophisticated manual locking system - you just manually do all the locking so the accidental opening is impossible. Also, pay attention to Sensors every pressure cooker has: as usual, electric ones have an LED display that shows the operation modes and a thermal sensor that controls the temperature inside a pot, whereas most stovetop crock pots have just a pressure gauge. When was the first pressure cooker invented? The first pressure cooker was created by a Frenchman Denis Papin in the 1600s. It was called ‘steam digestor’. 1. It raises the boiling point of the water up to 120°C compared to traditional 100°C. And the higher heat helps you cook food faster. 2. The high pressure saturates food with moisture quicker, which results not only in faster cooking but also helps you make certain dishes with tough meat more tender. 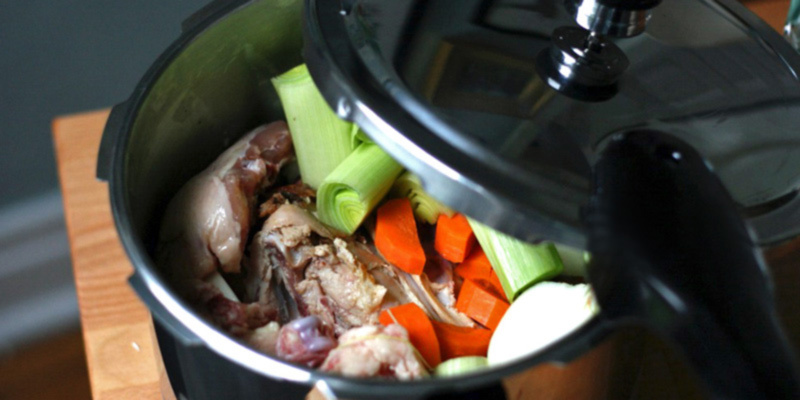 Numerous studies show that pressure cooking is the most efficient way to preserve as many vitamins as possible. 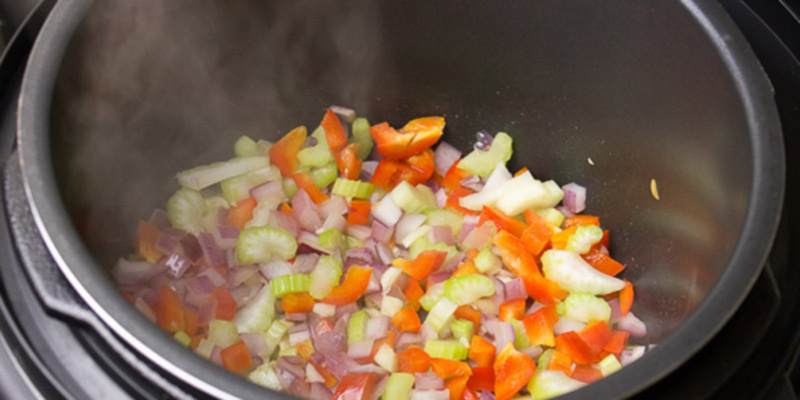 Compared to steaming (75-90%) and boiling (40-70%), the pressure cooking can retain even more vitamins. The number varies somewhere between 90-95%. "But extreme heat destroys nutrients!” you may think... No! The pressure cooker can really sanitize everything inside. However, it must run at least 15 PSI for about 30 minutes. A pressure cooker can cook almost any ingredient. You can even make such desserts as a cheesecake, lemon curd, or custards in this type of cookware. However, it's important to add the proper amount of water, otherwise, a pressure cooker might spoil the taste of food or not retain the valuable nutrients. A pressure cooker can help you prepare dried beans for your salads instantly, and no matter whether they are pre-soaked or not. Forget to defrost ingredients? No problem! The pressure inside is enough for frozen foods to thaw. They can be cooked within the same time. What's so great about pressure cookers? A pressure cooker is a highly efficient cookware that uses less energy (or fuel) than many other appliances. It cooks really quickly and can be called a fast cooker. Probably, the most important part of the pressure cooker is its safety valve (also called whistle). Once the pressure inside reaches 15 psi, the pressure is released, creating whistle or hiss. It's the safety valve that allows access pressure to escape. Although handles of pressure cookers are made of plastic, they won't melt even if they come in contact with extreme heat. The thing is that manufacturers use the material known as a thermoplastic. It's a polymer that has a very high liquefying point. 4. Anne Tourney Steamed Vegetable Nutrition, LIVESTRONG.COM. December 27, 2015. 5. Pressure Cooker Recipes, Allrecipes.